The Utah Division of Wildlife Resources is seeking information about the poaching of two buck deer near Holbrook Creek, above Davis Boulevard in Bountiful. The two deer were killed near Holbrook Creek at approximately 1150 East. 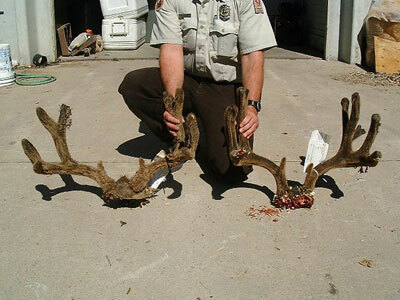 Both were trophy bucks, one a 5x5 and the other a 4x4. Area residents discovered the deer on July 10. Wildlife officers estimate both were killed sometime after July 1, and were shot with a .22 caliber rifle. Anyone with information regarding this incident is encouraged to call the Division's Help Stop Poaching Hotline at 1-800-662-DEER (3337), or the Division's Northern Region office at (801) 476-2740. The case number is 2001-00662. All callers will remain anonymous. The Division is offering a reward for the successful prosecution of the person or persons responsible.